It was no mean feat but we’ve done it. 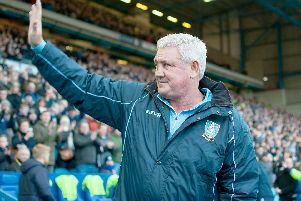 Inside The Star on Saturday, using the experience, past and present, of our sports team, we’ve whittled Sheffield Wednesday’s players down to 50 whom we feel deserve to be in a Hall of Fame - a list of memorable players to turn out for the Owls. But this isn’t a compilation of players who are JUST the best. These are men whose displays will forever go down in Hillsborough folklore. See The Star on Saturday for our special eight-page supplement, hailing the stars of Sheffield Wednesday.